Imagine you’re on your way home from work, cruising on your local highway, when all of a sudden, you hear a loud clap causing your car to veer off the road and straight into a ditch. In the commotion of the accident, you are blinded. You feel trapped. You have no idea what to do or where you’ll end up, but you’re hopeful that everything will be okay. Suddenly, you awake in the hospital, in a stable condition, and you are beyond grateful. You dedicate your entire life from that point forward to be a paramedic and save the lives of others. As crazy as it may sound, this scenario happened to St. Paul, formerly known as Saul. No, there was no car or paramedic; there was a horse and the Lord. Saul was a Jew without blame, zealous for the Lord, and he persecuted the early Church with vigor. On his way to Damascus to persecute the Christians there, Saul was blinded by the Lord. He heard the words of the Lord and suffered from blindness for three days. The Lord eventually sent one of His disciples to heal Saul, and the former zealous Jew became one of the world’s most influential evangelists and teachers, to say the least. Our God is the same yesterday, today, and forever (Hebrews 13:8). The same way the Lord reached for St. Paul, he reaches for the students at here Providence Academy. Often times, the students, like many of us, endure periods of blindness. This blindness, unlike Saul’s, is subtler and can be far more deadly. The world and the pressures of growing up cause the students to lose sight of the Lord. The Lord allows their blindness, as He did Saul’s, because “where sin abounds, grace abounds all the more,” (Romans 5:20). At the beginning of December, my team and I helped out with the annual senior class retreat at Providence Academy. Many students walked in blind, but over the course of three days, many of them encountered the Lord in a miraculous way. At the start of the retreat, the students were blindfolded by their small group leaders. The blindfolding was symbolic of the spiritual blindness they endure in their everyday lives. After about two hours, they found themselves seated in a room and were prompted to remove their blindfold when ready. As each student began to remove the cloth, they were greeted by the radiant presence of our Eucharistic Lord in the monstrance. In that moment, their eyes were opened up to the reality of who Jesus is and who he was asking them to be. In that moment, a decision was required of them: to respond to Christ and His invitation of love through the Gospel, or to reject it. Many of them took their time to take off their blindfold. Many of them were scared to see the reality — to see the need for Christ in the darkest areas of their life. Everyone took off their blindfold at different times, which was to be expected because each student was in a different place in their journey with God. Due to the variety of the students’ starting points, more faith and trust was required of some to take off their blindfolds than it was for others. Some students realized that they had strayed further down a wrong road than other students. Their conversion was more time consuming, more tasking, and more trust was required to see the end result. The other extreme that students experienced was that they had not wandered too far from the Lord’s path, and were able to see a clear way to get back on track and regain their sight. Both groups of students were able to continue through the three days of the retreat and came out with restored sight and a clear idea of where the Lord will be calling them and directing their paths. More effectively, the students have learned the importance of listening for God’s voice, of intently listening for that loud clap of thunder, so that they might be ready to be struck off any path that is not the Lord’s. The same can be seen in our everyday lives; the spiritual blindness, the confusion about what the Lord’s path is, and where the Lord’s path might be leading us, or even how to see this path. 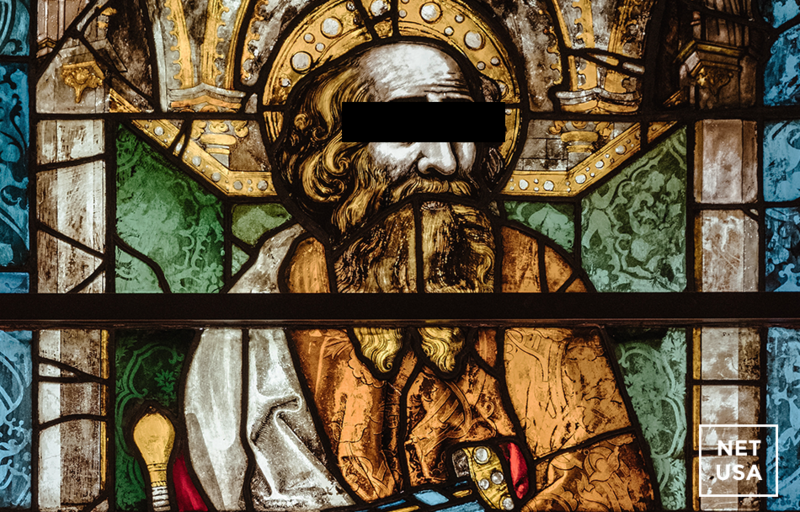 The Lord has taken all of us into blindness at some point in our lives so that we, like St. Paul and the students at Providence, might be able to have a clearer picture once we have the scales removed from our eyes. Our period of blindness, however, can look longer or shorter than three days. Conversion itself is defined as: “the act or an instance of converting or the process of being converted.” The very definition of conversion explains that conversion is a gradual process, that this process requires patience from us, and that there is the hope of always being able to turn back onto the path that God has chosen for us, despite anything that we may have done. The Lord knows how long we need in order to be able to focus solely on Him before we can be transformed and effectively change our lives moving forward. In this process of conversion, we must exercise the patience we are being called to, and we must learn that God knows us better than we know ourselves. St. Paul waited in his blindness for three days, but because of his patience, the wait was worth the end result. God desires to convert our hearts in our everyday lives. God desires to speak to us on a commute home from work. He desires that we would choose the path that he has perfectly chosen for us. Just as the students removed their blindfolds at different times, or their paths looked different in requirements of sacrifice or difficulty, we all have these same opportunities. We can choose to allow conversion to begin in our hearts whenever we say yes to the Lord, and we can face the things in our life that need to change. God can use our weaknesses and failures for His own good if we allow Him to. Let us be like St. Paul; let us say yes to God despite the growing pains that our “yes” might entail, and let us go forward with confidence that we will be transformed. Tomorrow, January 25, is the feast of the Conversion of St. Paul. May we ask St. Paul to obtain for us the grace to say “yes” as he did. St. Paul, pray for us!